The PlayStation 4 and Xbox One controllers are both pretty great. As people play, they can comfortably find their groove. While these are great, sometimes you could use a little enhancement. For those situations, the $17.99 KontrolFreek performance thumbsticks can be a huge help. And, if you happen to be a Destiny 2, things get even better. As they have ones designed to look like the game’s Ghost. This means you can always have two of those little companions at your thumbs at all times. 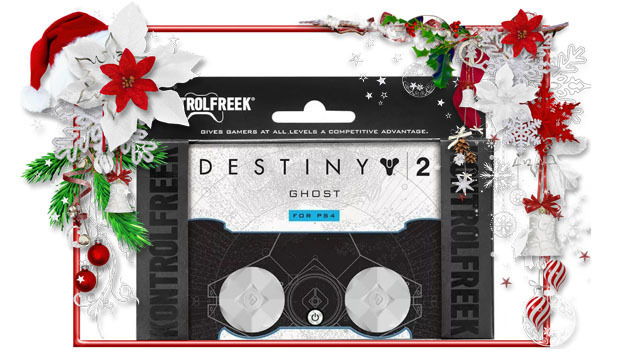 The Destiny 2 Ghost performance thumbsticks are formulated to make games easier to control. Each one has a ridged surface designed to make it easier to get a grip comfortably. They offer a good height. They are also designed to improve your quickness and control as you play and make movements in Destiny 2, or really any game. And, if you have a white controller, the cool-grey design will match it perfectly! Thumbsticks can always make games a little easier to play. This is especially important when it comes to games like Call of Duty: World War II. You want to have the best performance possible when you play. Especially when you are facing off online. 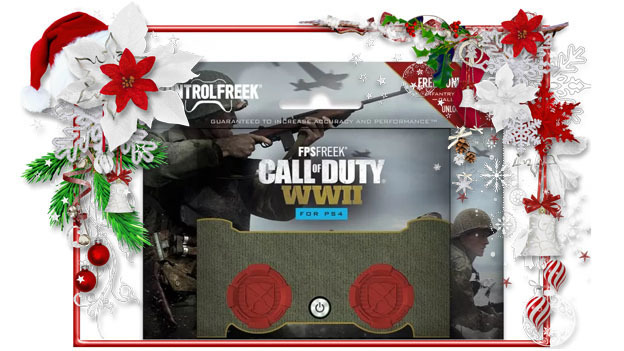 Thankfully, the $17.99 KontrolFreek Call of Duty: WWII performance thumbsticks can help make your gaming experience a little better. These red Call of Duty: WWII thumbsticks are red and concave, to give people a comfortable place to rest their thumbs. They have a high-rise design, with the Infantry crest in the center. Plus, you even get an exclusive Infantry Division Calling Card to use in the game. Of course, these can work with any Xbox One or PlayStation 4 game, but they will be especially handy for anyone who loves Call of Duty. Maybe pick up a pair for your favorite gamer? Now that the Nintendo Switch is here, you need all sorts of items to keep it safe and make your gaming experience even better. Fortunately, KontrolFreek has a whole line of items designed to make this new console even better. By adding these extras, you can protect and enhance the system. 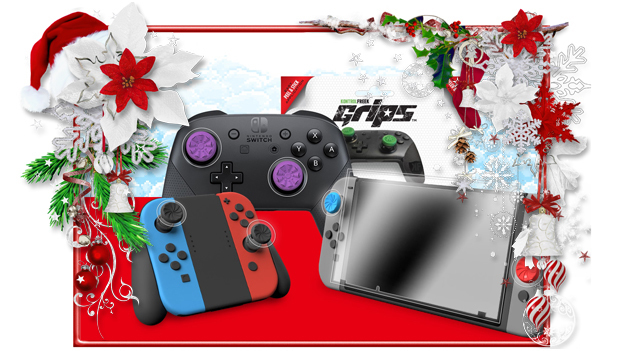 You can kick it off with a $9.99 tempered glass screen protector for the system that is crystal clear and 9H rated and $14.99 Performance Grips for the Switch Pro Controller, to make it easier to hold. There are also three different kinds of KontrolFreek performance thumbsticks for the Switch available, with each pair costing $14.99. The Inferno OEM sticks add 10.1mm of height and improve your grip. The Galaxy thumbsticks are designed for FPS shooters and offer a mid-rise stick for grip and a high-rise stick for aiming. Finally, the CQC Signature have a hybrid surface and rubberized grips. Any kind of game can benefit from having some kind of thumbsticks applied to the experience. After all, making the controller more comfortable is always a positive. KontrolFreek does its best to offer multiple options for different kinds of playstyles and games. 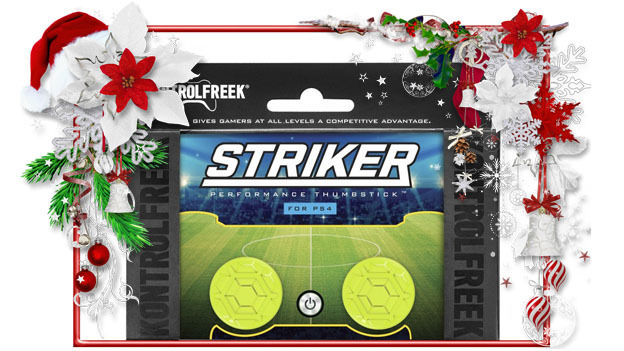 And for fans of sports games, the Striker performance thumbsticks are a good option. They were designed with games like Rocket League and FIFA in mind. This way, you will be better at getting the ball across the court. The KontrolFreek Striker gives you concave surfaces for your OEM sticks. This makes them 3.6mm higher, which should help make it easier to score those points. But, they are also just different enough to keep there from being a huge adjustment period. Instead, it should be easy to immediately begin playing and enjoying the extra grip. If all goes well, you should see more precise movements when you play and attempt to score. For more product details on the KontrolFreek Custom Thumbsticks, click here!